Tawa special Rava Roast is loved by all, its crispiness and wonderful taste tempt us to eat more in numbers.It is appreciated with sambar and coconut chutney or any chutney from our repertoire will be accompanied with this Rava Roast and great to enjoy. 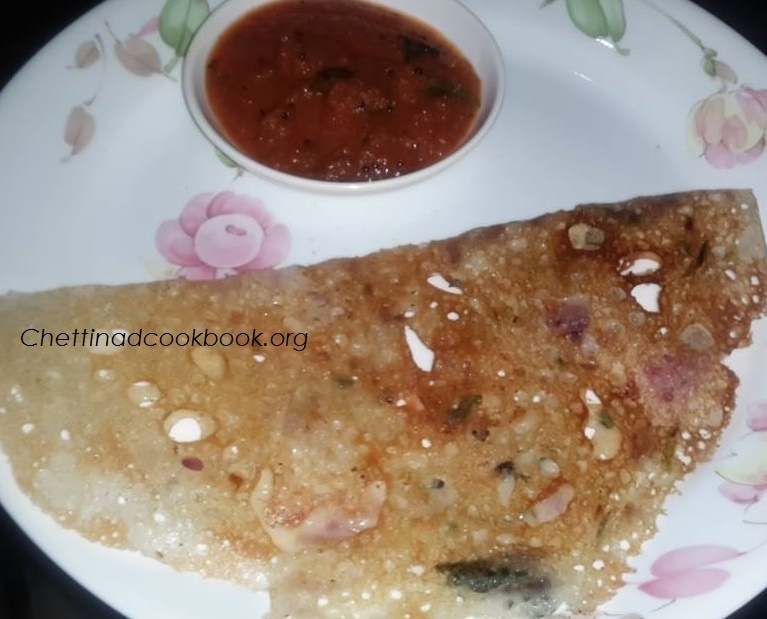 We have many Dosa and Roast varieties to enjoy, but the wonderful crispiness can be enjoyed only in Rava roast, simple and easy with few steps,easy to make at home in few minutes of effort,no need to rush to the hotel for this tasty, crispy Rava roast. 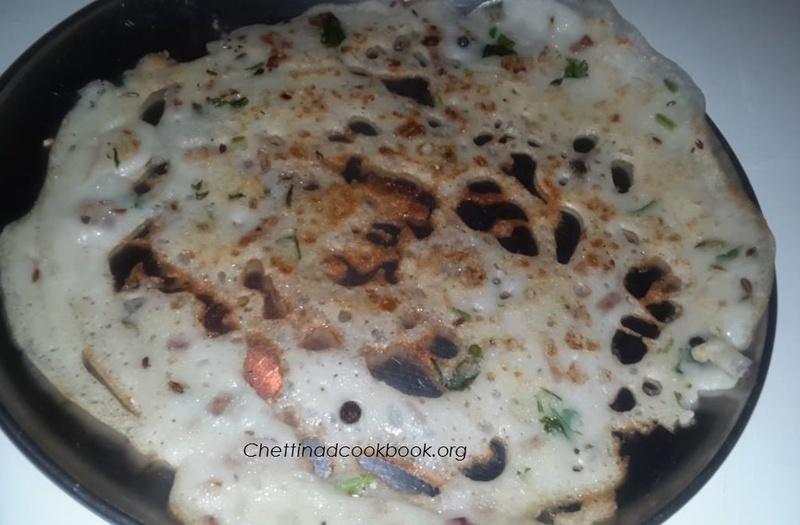 It is an wonderful choice in case of no Idly or dosa batter available at home. Measurement of Rava roast varies from person to person according to their interest,like Rice flour -3 cups and Rava 1 cup,or equal measurement. 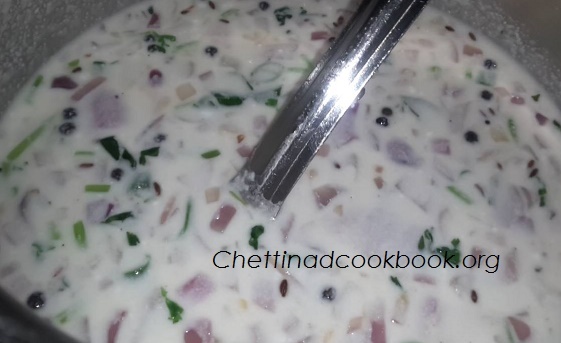 1.In a deep vessel add fine semolina(Rava) ,Rice flour and Maida(plain flour) mix all together with one cup of water and curd,add salt and stir it well set aside for 30 minutes. 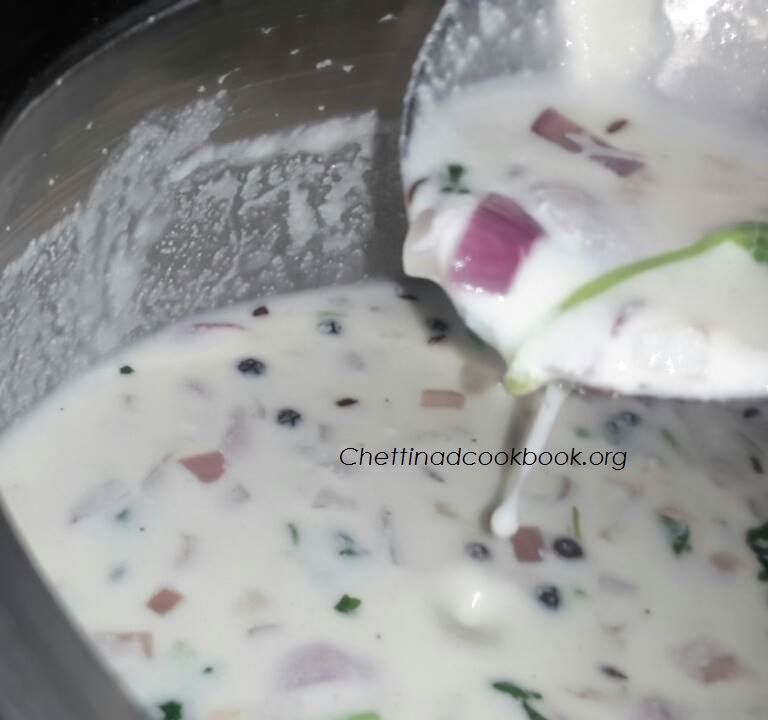 2.Heat pan with one teaspoon of oil splutter cumin seeds and pepper corns,add chopped Onion,Grated Ginger,Green chilli, Curry leaves and Coriander leaves.Saute well for one minute and add this mixture to the diluted batter,sprinkle some freshly crushed pepper. 3.The Rava Roast batter should be very thin and diluted because that it helps to make more holes in it,which is the secret to make crispy roast. Batter consistency as rasam we make. 4.Heat Tawa in high flame once done pour couple of ladle full of batter from a height outward to the middle in circular motion, so that it forms small holes. Don’t Spread the batter.Just pour it thinly here and there connectedly. Note:Stir it well in between, before making every dosa. 5.Drizzle some oil and let it close and cook for couple of minutes or till it turn golden. Flip over and cook for a minute. Remove and Serve with any chutney from your repertoire.Tasty Crispy Rava roast is ready.